Of course our very first feature would be the First Lady of the United States of America! She is the epitome of brilliance. She has in so many ways represented Black women all over the world. Not Just the United States. We take for granted here in this free country the platform that is given to us. This is why we began this organization; to applaud those who have responsibly and boldly taken the reigns to represent Black women today. Many people say they aren’t attempting to be role models, once you take ANY media related role… that’s exactly what you’ll be… good or bad. Michelle Obama is not twiddling her thumbs at the white house and basking in the “Madame President” title. Contrary, she has aggressively and steadily made changes in our country to date. 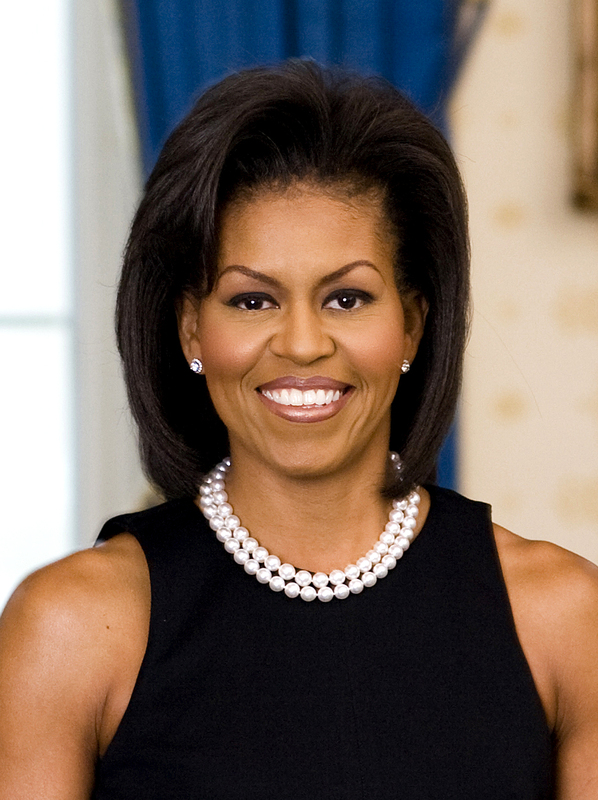 A chicago native, and a product of Public Schooling, Michelle Obama studied Sociology and African American studies at Princeton University. She later on received a law degree from Harvard University. She then joined Chicago law firm Sidely & Austin where she met our now President, Barack Obama. This woman is SO impressive and admirable! Here is a list of some of her most notable work until now! FLOTUS and Dr. Jill Biden together launched the Joining Forces initiative. We know this list doesn’t do her justice, however worth mentioning. Michelle has worked diligently to end obesity in children and the importance of Higher Education. As if she wasn’t cool enough, she is radiant in her fashionable taste! She also can bust a move! I LOVE IT. Michelle is our #1 Black Woman In Media!